These prices are effective as of February 1, 2017, and are subject to change without notice. The goods and services shown below are those we can provide to our customers. You may choose any of the items you desire. However, any funeral arrangements you select will include a charge for our basic services and overhead. If legal or other requirements mean you must buy any items you did not specifically ask for, we will explain the reason in writing in the statement we provide describing the funeral goods and services you selected. -Thank You for choosing Linde Price Funeral Service and placing your trust in us. Our professional service fee includes, but is not limited to, consultation with the family and clergy, preparation and filing of necessary notices, basic overhead and operating expenses, authorizations and consents, other services and attendants prior to, during and, following the funeral including coordination with those providing other portions of the funeral, such as cemetery, crematory, catering, organists, vocalists, transportation and others. This fee is for our basic services and overhead. It will be added to the total cost of the funeral arrangements you select. Includes death certificate completion, social security notification, temporary storage of the deceased, and the cremation of the deceased. This also includes temporary storage of the cremated remains up to 60 days. Includes death certificate completion, social security notification, temporary storage of the deceased, and the cremation of the deceased. This also includes temporary storage of the cremated remains up to 60 days and a Memorial Service at a facility of your choice Monday – Friday 8am to 5pm. Includes death certificate completion, social security notification, temporary storage of the deceased, embalming, dressing, cosmetology, directing of services at your facility of choice in the local service area Monday – Friday 8am to 5pm. This package includes a beautiful rental casket for the services, and cremation. Includes death certificate completion, social security notification, temporary storage of the deceased, casketing of remains, and delivery of casketed remains to cemetery in local area Monday – Friday between 8am to 5pm. Includes death certificate completion, social security notification, temporary storage of the deceased, casketing of remains, graveside service and delivery of casketed remains to cemetery in local area Monday – Friday 8am to 5pm. Includes death certificate completion, social security notification, temporary storage of the deceased, embalming, dressing, casketing, cosmetology, and directing of services at the facility of your choice in the local service area Monday – Friday 8am to 5pm. Includes death certificate completion, social security notification, embalming, dressing, casketing, coordination with receiving funeral home, flight arrangements and delivery of the casketed remains in an air tray or combo unit as required by airlines. Includes picking up of air tray/combo unit from airport and transportation of remains to funeral home or cemetery within the local service area within a 30 mile radius Monday – Friday 8am to 5pm. Except in certain circumstances, embalming is not required by law. 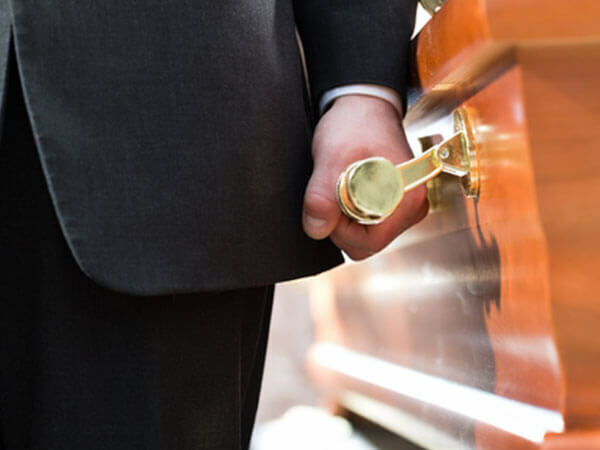 Embalming may be necessary, however, if you select certain funeral arrangements, such as a funeral with viewing. If you do not want embalming, you have the right to choose a package that does not include it, such as a direct cremation or a direct burial. Some cemeteries require embalming when placing remains in a mausoleum. We are happy to assist in scheduling a funeral or memorial service in our local service area. *This service is ONLY for transfer of remains to a different Funeral Home within a 30 Mile Radius. *For a Funeral/ Memorial Service on the Weekend or Evening hours past 5pm. *If payment is not received within 10 days of removal. *Examples: Finger Prints or Locks of Hair, etc. *This charge is for overweight pick-ups 300 lbs.